Simply launch the app and create a new note. Put your cursor in the body of the note and Click the “check box” icon to add a check box where your cursor was. Next, type the “bucket list” item. Rinse and repeat steps 2 and 3 for each item you want to add to your bucket list. As you complete items, tick the box next to the item. If you want, you can add a date completed as kind of a journal of sorts. There you have it. You can add tags or any other information to make it unique to you. If you want, you can share you bucket list with others so they can see what you want to accomplish. You may even find yourself getting encouragement from friends and family who happen to see your list. Of course, if you want to keep it private, that's perfectly acceptable as well. This is just one of the many fantastic uses for Evernote. So what about you? What kinds of items do you want to add to your bucket list? 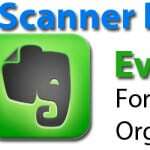 What types of things do you use Evernote for? Inquiring minds want to know! Please share in the comments!